Cavalier King Charles Spaniels (CKCS) date back to 16thcentury England where they were used as lapdogs for the affluent. They helped to keep their owners warm by curling up at their feet or on their lap. They were given the name “Cavalier King Charles Spaniel” after King Charles II who had favoured this breed since his youth. Since they were first recognised by the British Kennel Club in the 1920’s they have rose in popularity and are now the most popular breed of dog in the UK and in the top ten most popular breeds in Australia. These dogs have a beautiful temperament and are excellent with children hence they make a fantastic loveable family pet. They are suitable for apartment living as they are easily house trained are small and unobtrusive. They have a medium length silky coat that can be found in four colours including Blenheim & white (photo above), ruby, black & tan and tricolour. Average lifespan of 10 – 12 years. Mitral Valve Disease (MVD) – Degeneration of the heart’s Mitral Valve leading to eventual congestive heart failure. Syringohydromyelia – Disorder of the brain and spinal cord, which cause compulsive scratching, severe head and neck pain and paralysis. Distachiasis – Extra eyelashes at eyelid margin which can rub against the corneal surface. Dry Eye – Painful condition resulting from inadequate tear production causing irritated painful eyes and potentially blindness. 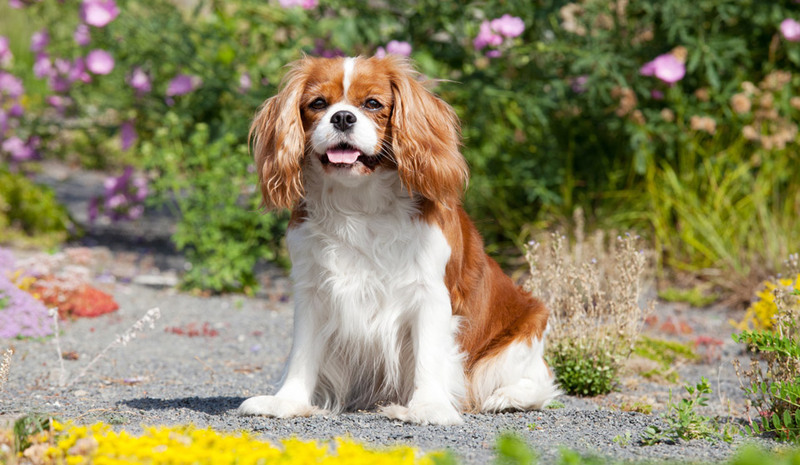 Looking for Cavalier King Charles Spaniel insurance?